It’s not just sad for Americans…it’s sad for every people, every nation. It feels like the whole world is in chaos today. However, we have a hope for the future. But it is up to us to bring this hope forward. This hope is called…Jesus. We have lost four exemplary men this week. Men who served willingly, selflessly, men who died because they had a vision of peace. They saw a need, and they met it head on. And that is what is so sad. They died helping the very people they were trying to make life better for. Does this mean we should all stop doing service to others? Have they died in vain? Not if the American spirit prevails. And even more so if we march forward in Christian love. We can make a difference. Kindness can interrupt anger, even in those who are zealous. Continued caring attitudes can break down the walls that come between peoples, and religions, even when they are extreme. Jesus said that if we do for another person, a drink of water, clothing, a meal, anything of service, then we have done it as if it was for Him. And it is. In response, He will make our paths straight, and He will bless our work, when it is done in His name. So take heart, America. These are frightening times, but we knew they were coming. The Bible tells us so. And it tells us that God is our defender, our redeemer, our help in times of trouble. So believe, put away the fear, and step forward and honor God with your service to others. Just a little bit of love makes this world a better place. Make kindness a part of WHO you are, not just what you do. Jesus was kind, even when He was hanging on the cross. There is a thief who saw His smile just before he died. He is in Heaven today. Show your smile, and have joy as you do so. I would rather be somewhere on the mission field, in God’s will, than safe at home, out of His will. All Christians should have a heart for missions, local or abroad, for it is Jesus Himself who said, ‘Go therefore and make disciples of all nations…’ (Matthew 28: 19-20). Remember, the mission field is wherever we are, all the time. Is that not an exciting statement? If you don’t see it that way, you should. Because you are short-changing not only your own self, but you are limiting what your God can do. Let me tell you a story. It’s mine, but I am willing to share it with you if it will make a difference in how you view all that our God does for us. And I am even hoping my telling it will remind me, too, of the magnitude of what God’s grace displays in power and love. I had been married for 21 years before I went out on my own. I had three great kids, and a grand baby. I met a man who had just gone through a very painful divorce. He did not want it, but it was inevitable, and he could not stop it. He also had kids. He lost them, and his home, all in one fell swoop. So we met, we fell in love, we married. We eventually moved back to his home in North Carolina. We both had good jobs and a nice home. And we were happy. We had become involved in a wonderful church, and had great opportunities to serve. We made new friends, and had a nice Christian social life. My husband was not saved before we joined the church. So God knew where He wanted us, and we landed exactly on that spot. When my husband was saved, he became the man I always knew he could be, even more than he already was. He had a co-worker who was a lay preacher in a little country church. It was very ‘old school’, a fundamental church. There is nothing wrong with that, if it is teaching what the Bible truly says. But some of the theology was not quite right. You will see what I mean in just a moment. This fellow needed help applying for a position he wanted on-line. He was not computer literate, so my husband offered to bring him home after work one day so I could help him by doing the application on my computer. He came and we got along well, and the three of us ate a small supper, and then we set to work. It took about an hour and a half. A few pleasantries were exchanged and then he went on his way. The next day at work, he and my husband got to talking and he found out that I was the third wife. That’s right, I did say third! ‘Three time’s the charm’, as the saying goes. Anyway, Chuck explained to this fella that his first marriage broke up because his wife had an affair, and his second one was the same way. Both of those ladies liked to party all the time, and he was working all day. So they were bored and voila. Anyway, he also proceeded to tell this gent how all of this took place before he was saved. And he told him what a great wife I was (sweet!) and how he had come to know Christ because of me. So imagine his surprise when this man told him he needed to divorce me and go back to his first ex-wife! When I heard this I was flabbergasted, and more than a little hurt. After all, I had just spent an hour and more of my life helping him try to get a new job. And fed him dinner too! But when my husband and I talked more about it, we realized this man had been deceived. His beliefs were wrong, because the Bible tells us that we are a new creation once we are born again. All these things that had happened prior to that, including marrying me, were no longer being held against my husband. He had been saved, and he was living as he should…in Christ. I, on the other hand, did not have that same excuse. I was saved young, and I knew when I did wrong. I always found a way to justify it. So I told my husband that I knew I needed to ask God to forgive me for all I had failed at, for all I had done to find happiness, for just not being who I thought I should be. I had never asked God for this forgiveness you see, because I always thought ‘poor me’. I should have known better; I should have turned to God first. We decided to stand on God’s word in the face of this man’s declaration. My husband went back to work, and because he really likes him, and also because he had to work with him, he told the man that we forgave him. He also went on to quote the verse above, and explained how we both had been forgiven by a forgiving God. What mattered now was how we lived our lives from that point on. And surprise of surprises, this man accepted it all. He still did not like it, but he would not quibble over scripture. It was almost like a light had come on. He realized, you see, that God has more for us than rules and laws…He gives us grace. Grace. It is all over us. It is what saved us. It is what keeps us going today. It is what wipes the slate clean and gives us our new start every day. It is what keeps the fires burning, and the love pure. It is what helps us to love others, to care for them, to forgive, to forget, to go on. Grace is what allowed Jesus to die on the cross for our sins, and to rise again to declare the victory. He did it for God, for the Father, but He also did it for you and me. He gives us grace. In the hardest parts of our lives, in the sin and the dirt and the confusion and the loss, in the missed opportunities and the pain, in the disappointments we experience, grace is there. When we mess up, or we misunderstand, or we simply fail to see, grace lifts us up, gives us a hand, restores our peace, and makes us whole. Grace is one of the greatest and useful gifts God could ever have given us. He gives us grace. So, that is my story. Boring? Maybe. True? Totally. But in it you can see how God’s grace washed over us, in how we viewed this man, and how he came to view us. For today he is a friend. He has experienced hard times, his family has gone different directions, and he realizes now that a lot of that is because of his misinterpretation of scripture. But slowly they are returning, and getting back to what they know is right and good. And why is that? Because He gives us grace. So, my friends, when you are feeling down, or rejected, or that you can’t do or say anything right, or maybe you’ve said something you shouldn’t have, or have messed up terribly, simply turn to God and tell Him all about it. And then watch, and feel, the grace of the Heavenly Father, and the Son, Jesus, wash all over you, refreshing you, and showing you that all things are indeed new…Because by now you know, He gives us grace! What difference does it make, you say? Well, to a lot of folk, it makes ALL the difference! We have recently seen tons of storms, in the southeast, in the midwest, even in Texas. It seems like there is no place that is safe from the severe thunderstorms, tornado’s, and flooding. There has been catastrophic loss of life and property. Lovely towns have been demolished, homes destroyed, businesses that once employed many simply gone. And the people left behind are asking…why? No one really knows. I have heard the expert weather people explaining why, citing different storm systems, air masses, wind streams, etc. Not that I understand any of it. No way! But I also know that what we are seeing is not normal. Not for our country. Not for places outside of the commonly known areas called ‘Tornado Alley’. Now it seems nowhere is safe. But is there a reason? Could it be that prophesy is coming true? Doesn’t the Bible tell us that in the end times there will be earthquakes and severe storms? Isn’t that one of the signs that was promised to believers? Well, yes, it could very well be that. It could indeed be that what God has told us through the ages is right here before us. And why should that bother us? We naturally do not want anyone to suffer as they are from these storms. We do not wish for loss of life, nor of property, nor of entire towns. The pictures we see do not make us joyful. And when we can, most of us will do what we can to help out, to donate, to provide the things these people no longer have access too…clean water, shelter, clothes, personal items. Many will join with groups to go and help rebuild. We very well may be on the brink of witnessing the most stupendous event in history…the second coming of Christ. Oh, stop it now, don’t start with that ‘she must be a fanatic’ or ‘she’s a nutcase’ stuff! I know it sounds far-fetched. But does it really? What about all the signs and wonders, the events that were prophesied in the Bible, all the things that have been accomplished until there is …nothing more that needs to be done? Israel is on the same brink, with all that is coming against them right now. As it has all through their tumultuous history. Now they are being told to give up their land, once again. There are constant threats to their safety and security, all around their borders. They are attacked regularly, both politically and physically. And doesn’t the Bible also tell us that he who curses Israel shall also be cursed? I have put these thoughts together for two reasons. One is to remind us that others around us suffer, and it could just as easily be us. So we need to reach out and help and support those affected, in whatever way we can. Secondly, the reality is that the time for Jesus to return is indeed not too far away. No, we will not know the day or the hour. Nor do we need to. We need to just be ready. And we also need to keep on serving the LORD Jesus right up to that ‘blink of an eye’ event. In that way we will have an impact on others, creating a harvest of souls Heaven bound, which is what He commanded us to do while He was still walking on this old earth. So, it’s just food for thought…I thought I just heard thunder…is that wind? They say today is the DAY! The LORD Jesus will part the clouds like a scroll, and we, His faithful, will be called home. Some have quit their jobs to travel with this group to hold signs and preach about end times. I say, enough is enough. I’ll not listen to any man or woman who teaches this. The Bible tells us, ‘But of that day and hour no man, no, not the angels of heaven, but my Father only.’ (Matt 24:36) God has promised signs and wonders, particular events to be fulfilled, and we will know this much…the time is near. And I believe it certainly is. He may come back today…but He may not. What is important is that we be ready, as individuals, and as the church, the unblemished Bride of Christ. So live today as you would any day, hopefully for God’s purposes, for there are many who are NOT ready, and who will not meet Jesus in the air in the blink of an eye. And do not live in fear of the DAY, for it is not fear that we should have…it should be a grateful anticipation, for on that DAY we will be delivered from all trials and tribulations and the cares of this world. And we will be forevermore in the presence of our Holy God. I just pray we do all we can do to make sure others will be with us as we go to our Heavenly Home on that DAY. That joyous DAY! Blessings! Jesus had been crucified. He had been laid in a borrowed tomb. The disciples went away to grieve together. And the night passed. Can you even imagine what they were feeling? Do you think they understood what had just taken place? What about Mary, who witnessed in horror the torture and death, the humiliation, the evilness, that had befallen her son? God had given her this child. And to her, even though she knew who He was, He was still the child she had conceived in purity, who she bore and raised to manhood. This was her flesh, her love, her life. This God-child, who was King of the World, was still her baby boy. Those who had carried out the actual torture and crucifixion of our Jesus had been touched in some way by the event. Some still did not see the ramifications of, or the importance of, their actions from the day before. In fact, a few of them were most likely still bragging about money they had won in gambling, in sharing the spoils of the deaths that took place that day, including the seamless white robe that had been at the center of their games. That very special robe. In contrast, I would think that the centurion who realized, at that last split second, who Jesus really was, had to be full of remorse, awe, and intense guilt. Many who seemed to weaken during His death process were likely feeling that way. 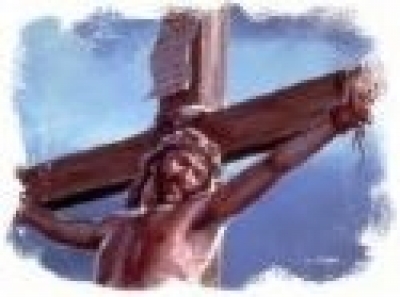 For they had witnessed something never seen before, a man dying on the cross but forgiving those who had put Him there. He also suffered as no man had ever done, for a longer period of time, when any other man would not have been able to withstand it. But can you imagine remembering afterwards the piercing of the side, the blood, which they would have expected, but then the pure water that followed? You can bet that had never been seen before. Or since. Even when terrible things are over, when tragedy rests its ugly head for a moment, when grief begins to truly settle in, events replay themselves over and over again in our heads. In our hearts. In our minds. Why? What if? What could I have done? Why didn’t God intervene? This was, after all, His only begotten Son. Why would He not show that power that the thieves knew He had? It was all because of Grace. God’s will had to be realized, the prophecy fulfilled. Man would never have found salvation, in a more intimate, immediate, and perfect way, had Jesus not done what His Father had decreed. He was willing, but He was not looking forward to it. We know that by His prayer in the cemetery, shortly before He was arrested and taken away. But on that day, the day in between, those who were so close to the ‘thing’ had much to ponder, much to think about, much to marvel at. Because they witnessed the greatest event in the world to date. The beginning of the end…the opening act to the one to follow….the complete and eternal resurrection of Christ. The In Between Day…we don’t think much about it, and not much is known. These are merely my ideas of what was going on, how many were reacting and feeling, how that day would have been. We tend to jump right over that day, straight to Easter. The day of Christ’s victory. But He had already known victory. Because on that in between day, He was working to do His Father’s will. He was visiting hell, and taking complete control of it. He was doing a lot of things we will never know about until we are reunited with Him again. He had just experienced complete separation from the Father He so loved, but He knew He was loved beyond compare. This in between day was a day of great importance, a real day, but a forgotten day. The important thing to take away from all of this is…there had to be an in between day before there could be a He Lives Again Day! We all know the story. God sent His Son, His only begotten Son, to this earth to walk among us and be a witness to us. He would make Himself known in a humble sort of way, but He would impact thousands while He did it. He also did miracles, and taught through parables, and He garnered many followers. He chose twelve men to be His companions, and who He knew would carry on His ministry once He was gone. Yes, gone. For He also had a mission to save all of mankind, if they wished to be saved. He would become the sacrificial Lamb of God, and die for us on the cross. But wait…there’s more! He arose again! Yes, He died, no question. He was wrapped in cloths and laid in a tomb, and the stone was rolled to close it. All who knew Him personally, His family, His friends, His disciples, mourned Him. But they had forgotten what He had tried to tell them all along. They had never embraced what He was sent here to do. So, when He was missing from the tomb, when He was seen and His wounds touched, when He had a meal with His disciples, all were indeed amazed. For here He was, yet they had seen Him crucified. They had seen Him give up the ghost. Yet He lived! He was flesh and blood, and He ate and walked and talked with them. He still told stories, and He still questioned them, just like before. And yet…He was indeed different. For now He was changed. He was no longer the man-Christ. He was not like them anymore, not in the way He had been. Oh, yes, He was still their Jesus, and His beliefs and way of living, and His teaching was the same. But He had stayed the course, He had fought that good fight, and He had overcome. He had really overcome. For He had defeated death. He had done something that no man had ever done, not by His own hand, anyway. He had shown His power, His Father’s grace, His purpose in earthly life. Now He was changed. He was just about finished with His need to be physically present in this world. He was ready to return to the Heaven He had been sent from. And one day He did just that. He was taken up into the clouds, as the disciples watched in awe. And they stared after Him, even after He was gone. They had to be wondering what was going on! Why would He die, rise again, and then leave again? This was more than they could understand. Until the angel told them that this same Jesus would come back soon, the same way they had seen Him leave…in the clouds. So it is left for all to wonder…why? Why did He die for us? What worth are we that God should take on a human form, be born just like our babe’s are, and walk this earth with all the things a man goes through in His life? Why would He choose to leave the wonderful warmth and comfort of that place called Heaven, where angels sing, and the light is bright, and all things are perfect and in harmony? Why? Because He loved us. Even before we were born, He knew everything there is to know about us. He cared for us. He wanted us. He loved. The world had fallen very early in its life. But God always had a plan. And He brought this plan to realization when He sent Jesus to atone for our sins. Yes, we all sin! We cannot help it, no matter how hard we try. We were born with a sin nature. Not our fault, but within our power to correct. By choosing Jesus as our Lord and Saviour, we find forgiveness for that sin, and for all our failings. If we will repent and turn from that sin, we will be saved. And this was what Jesus was here for. This is why He died. He defeated death, and took the keys to hell. He gave us the promise of eternal life. He let the curtain be torn, the veil destroyed, that we may have direct access to Him, to His throne of grace. He made it possible for us to walk in faith, to live in faith, to die in faith. Because we know our hope is in Him, we need never fear anything again. We are His. He is ours. And that is why…that is why He did it. For you…for me. Give God praise from the innermost place in your heart. Shout it to Him, whisper it softly, sing it in His ear. But give it from your very soul. For He has purchased your soul, your life, with His. And to Him, it was worth it. Why did He do it? You know why. And so do I.